Slips and falls can be especially dangerous, especially when a victim falls from heights. According to a recent article in U-T San Diego, a young 7-year-old boy sustained critical injuries after he fell “about 30 feet from a third-story window at a Del Mar hotel.” How did this catastrophic hotel accident occur? The Child Abuse Unit of the sheriff’s office currently is investigating the accident. 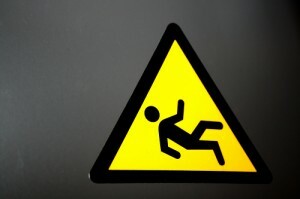 In some cases where serious falls occur, the hotel may have been negligent and can be held responsible for injuries. Falls can occur anywhere, including when we’re on vacation. If you or a loved one has sustained injuries at a hotel or motel, you should contact a San Diego hotel accident lawyer. The experienced attorneys at the Walton Law Firm can discuss your personal injury case with you today. Authorities don’t know yet whether the child opened the window himself or whether it was already open when he was left alone inside the hotel room. Due to the fall, the child suffered a broken leg and “major head trauma,” according to Lopez. A medical transport helicopter rushed him to Rady Children’s Hospital in San Diego. Slips, trips, and falls account for about 42 percent of all hotel guest injuries. These can happen when a hotel fails to warn guests that the floors are wet or slippery, or if a hotel fails to install proper railings on its stairways or balconies. A fall from a hotel balcony, much like the catastrophic hotel accident in Del Mar, can result in life-threatening and fatal injuries. According to the report, falls happen most commonly in hotel stairways, balconies, landings, ramps, parking lots, and bathtubs/showers. Security-related accidents and injuries account for approximately 40 percent of all hotel guest injuries. What is a security-related accident? It’s an accident where the hotel’s failure to provide security or to make an area safe led to an accident. In some cases, for instance, an area should have been better lit with safety lighting. Food-borne illnesses result in about 3 percent of hotel guest injuries. While the numbers differ for hotel employees, slips and falls still cause a majority of those accidents. In fact, about 42 percent of all hotel employee injuries occur because of a serious fall. The second-leading cause of employee injury, however, relates to handling dangerous materials. Have you sustained an injury while on vacation at a hotel? You should be able to feel safe when you stay at a hotel or motel. Contact a slip and fall attorney at the Walton Law Firm today to learn more about how we can help.